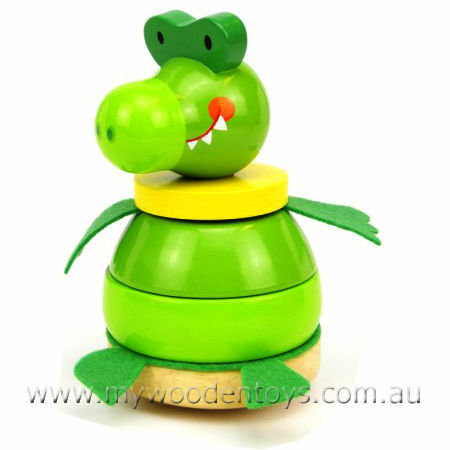 Crocodile Wooden Stacking Rings is a lovely variation on classic column stacking toys. This toy has four, shapes to stack onto the column but to make the smiling crocodile you have to get them in the right order and add the felt arms, legs and tail. Finished with child-safe paint the stacker is strong, durable and will survive all the knocks that your little one can hand out. A perfect toy to help develop those fine motor skills and it is a real challenge to get the felt feet and arms in the right place. We like this because: "A great challenge getting all the pieces in the right place."